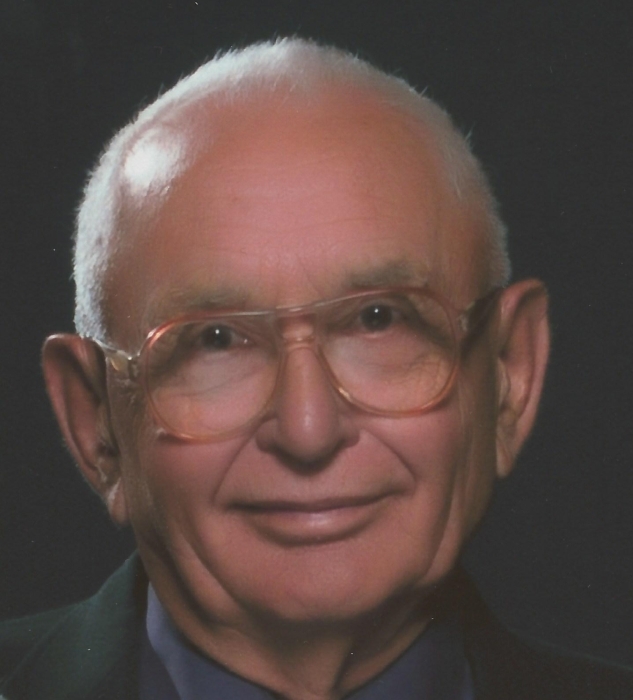 Funeral Services for Edward A. Gnirk, 87, Lincoln, formerly of Hoskins, will be 10:00 a.m., Saturday, February 9, 2019 at Trinity Lutheran Church in Hoskins. Military honors rendered by the Nebraska National Guard Honor Guard, American Legion Post 16 and VFW Post 1644. Burial will be in Hillcrest Memorial Park Cemetery. Visitation will be 4:00 to 7:00 p.m., Friday at Home for Funerals Chapel on Georgia Avenue. He passed away Monday, February 4, 2019 at the Homestead Rehabilitation Center in Lincoln. Edward “Ed” Arthur was born on the family farm, rural Hoskins on January 1, 1932 to Gerhardt and Emma (Uecker) Gnirk. He was baptized on April 10, 1932 in Trinity Lutheran Church and was confirmed March 17, 1946. He graduated from Hoskins Public High School in 1950. After earning a teachers certificate from Wayne Teachers College, Ed taught on a ranch in western Nebraska, using a chuck wagon as a schoolhouse. He then attended Norfolk Junior College briefly. He was drafted into the Army in 1952 for the Korean War and served in Japan and Korea for 2 years. Upon returning to Norfolk, Ed worked at the State Hospital. On June 26, 1955 he married the love of his life Arlene Mae Watchorn at Zion Lutheran in Leigh. Six children were born to this union. Ed was a farmer and later worked as a head security guard for Great Dane in Wayne until he retired. He continued to work on the farm and would always lend a helping hand to anyone in need. He loved to build things and was always tinkering around in his shop. A highlight of his life was going to Washington DC on the Korean Honor Flight in 2014. A fall on the ice and dementia led to moving to Lincoln to be close to his daughters. Survivors include his spouse of 63 years Arlene, daughters Lynnette (Don) Hupman of Manassas,VA, Cindy (Keith) Thomson of Lincoln, Barb Gnirk of Lincoln, Patty Chewning of Omaha, and Kathy Gnirk of Omaha; daughter-in-law Cheryl Gnirk of Norfolk; 10 grandchildren; and 3 great-grandchildren. He was preceded in death by a son, Michael Edward, his parents, his sisters Helen and Martha, his brothers Lloyd, Bob, and Gerhardt “Pete”. In lieu of flowers, memorials requested to Trinity Lutheran Church or Orphan Grain Train.